“All elders are entitled to self-determination wherever they live” — it’s a Pioneer Network value, and who better understands the meaning behind this value than long-term care ombudsmen! Pioneer Network is pleased to present a session at this year’s conference focusing on the connection between the work of the culture change movement and the Ombudsman Program. In this interactive session, Penny Cook, President & CEO of Pioneer Network, will begin by exploring with attendees just what that connection is. Guides will continue the conversation by reviewing the new Ombudsman Guidance and residents’ rights. Seeing the connection is one thing, but making the connection requires resources and tools, and that’s just what will be shared — ideas and programs that Pioneer Network and others have to offer to Ombudsmen which can be shared with communities to help them on their journey. And of course, no session at a Pioneer Network Conference would be complete without a few stories, and so in this session, you will hear stories of what is happening across the country and leave with the knowledge that we can do things differently…that residents’ rights can be realized in a way that brings quality of life to elders. Welcome: Let the Networking Begin! Join us for a chance to start your 2018 Pioneer Network conference experience by getting to know your fellow Pioneers as we do the traditional Roll Call of States and Nations. 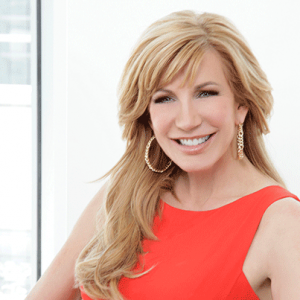 Our goal is that this year’s conference experience will be your best ever, and so Jill Vitale-Aussem, President & CEO of the Eden Alternative, will be sharing some fun and engaging ways to get the most out of your conference experience. But we know you’re also looking for some details, so you will have a chance to learn more about the many conference events that will be happening over the next three days. And there’s more! 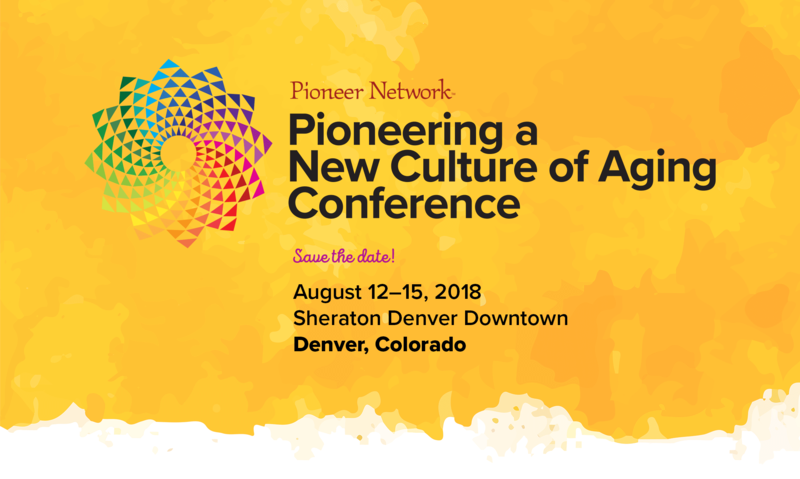 Every conference experience is individualized, and so to help you create your own person-centered conference plan, there will be a demonstration on how to use the Pioneer Network App, a tool that can serve as your guide as you navigate and plan your days in Denver. All that, plus a few surprises…because what better way to start a Pioneer Network conference than living the Pioneer principle, that relationship is the fundamental building block of a transformed culture! Pioneer Network’s Values and Principles tell us that Community is the Antidote to Institutionalization, so what better theme for our opening general session! Join us for the official convening of the Pioneers as you hear from Penny Cook, Pioneer Network’s President and CEO, about the state of the movement. Then join us as we explore ways that community is being created by Pioneering teams throughout the country and beyond. Hear from the leaders of two organizations who have taken community engagement to a new level, Masterpiece Living founder and author of the book Live Long, Die Short, Dr. Roger Landry, MD, and Rockport HealthCare Services CEO, Dr. Michael Wasserman, MD, CMD. What better way to end than by celebrating the winners of the First Annual Community Commitment Awards. Hear from the award-winning teams about the projects that their residents are leading that are providing meaning and purpose in their lives and in the lives of those in the greater community. Pioneer Network, Celebrating 21 Years and Coming of Age! What can be more fun than a chance to network with our exhibitors, sponsors and your fellow Pioneers, spending time together responding to spirit, as well as mind and body! Come celebrate with our Sponsors and Exhibitors and thank them for their generous support. Visit with them to learn about innovative services and products, share your needs, challenges, and ideas for future products and services to help you on your journey, enjoy appetizers and drinks, and perhaps you’ll even be the winner of one of our great giveaways. But there’s more, as this reception promises to be NOT your typical event. Do you remember your 21st birthday??? All of a sudden, you’re an adult! This networking event/party will take you back in time to celebrate the PIoneer Networks 21st birthday and tie you into your own. We’ll go back 21 years ago, to 1997, and relive the music and camaraderie of those days gone by. Coming of Age Party 7:30 – ?? The Pioneer Network is coming of age and that means we are old enough to party the night away! So, before you leave the reception, you’ll want to get your Fake ID – you’ll need it to get into the party hosted by It’s Never 2 Late at Coyote Ugly, located just a short walk away on the 16th Street Mall. We promise a great time with live music and some special treats, including a chance to experience silent disco, hosted by the team at Eversound! Not sure what that is – well, I guess you’ll have to come to find out! In addition, iN2L is offering a $500 Prize for whoever has the best costume / look representing 1997, this is your chance to let it all hang out, laugh and reminisce. It’s culture change at its finest! The future is coming, and while we as Pioneers have been working to change for over 20 years now, we know that the future holds many challenges that we need to identify and then figure out how to meet. We can start by asking ourselves if we are ready for the future…but more importantly, we need to GET READY for the future! As we all come together as a group for the last time, we have some very special speakers who will be sharing messages to inspire, motivate and teach. We will begin by hearing from some wise leaders. Individuals who have led their organizations through change, creating and sustaining cultures where the Pioneer Network mission, values and principles are lived out every day. These leaders met here at the conference earlier, bringing their shared wisdom and experience as they discussed some of the secrets to their success. Now we have the opportunity to hear from these wise leaders as they share some of those secrets and perhaps give us a little advice to take home on how we can help spread the message to other Executive Leaders who can help to take our movement into the future. While we know we need to prepare our organizations for change, we also know that being ready for the future requires a personal journey for each one of us to take, as well as one in which we support and grow current and future caregivers. We are confident that you will leave this session feeling renewed in the belief that each person can and does make a difference! What happens when the simple act of dressing is no longer simple? This is a question that Jan Erickson has been exploring for the last 15 years. The important truth she’s uncovered is: Clothing does matter, and how we present to the world significantly impacts our sense of personhood, as well as how we are perceived by others. In this person-centered fashion show presentation, you will be introduced to Janska Clothing That Comforts and Jan’s mission to serve women at all stages of life with garments that make them look good and feel good. Members of Denver’s elder community will model Clothing That Comforts, as Jan shares her research and discoveries surrounding the important topic of dressing with dignity, and finds new meaning in the Pioneer Network value, put person before task. Continuing the Conversation: What Does It Take to Move the Mountain? At the 2017 Pioneer Network Conference, we had two special sessions in which participants explored the future with Elders and their fellow providers. That was the start of the conversation. Join us as we continue the conversation and the exploration of what it will take for us to “move the mountain” and make the Pioneer Network’s vision of creating a culture of aging that is Life-Affirming, Satisfying, Humane and Meaningful a reality for all of us and reminding us that culture change and transformation are not destinations but a journey, always a work in progress. Senior living and technology has historically had a connotation of clinical tools such as medical records, MDS software, etc. That obviously has relevance, but there are a multitude of technologies emerging that will make aging fun! The Pioneer Network is delighted to present an interactive technology experience that will change your perception of aging, and of senior living. Virtual reality, robots, immersive sensors, wearables and voice activation are just some of what you will see and feel at the conference – new technologies developed by innovators and dreamers who understand that new and different can be good – that risk taking is a normal part of life. We don’t want to tell you any more than that for now, you’ll have to attend to find out. Seeing is believing! Dementia Live is an experience that immerses participants into what life might be like living with cognitive impairment and sensory change. Utilizing specialized gear that simulates dementia specific changes that include altered eyesight, hearing and tactile sensation, this safe experience is a powerful and effective tool to strengthen care partner’s understanding of and empathy for their residents. Gaining a first-hand understanding of anxiety, isolation, frustration, confusion, and more. Dementia Live uniquely walks participants from the “AHA” moment to empowering caregivers with tools to improve communication, care processes, and the environment as they gain insight to help them as they get to know each person who is living with dementia. As a special treat this year, we invite you to tour the Photo Gallery, located in the Sponsor and Exhibitor Gallery, and enjoy the beautiful and inspiring photos taken by Jennifer Dill, Director of Life Enrichment, depicting the joy of community life experienced by the Elders at Chelsea Place Assisted Living. You will see come alive in these photos the joy experienced when we practice the Pioneer value that all elders are entitled to self-determination wherever they live. As Pioneers, we are always looking for new and innovative ways to design care and services to support resident choice and autonomy — and make life better for all care partners. Sometimes, be it real or perceived, rules and regulations get in our way. Join your fellow pioneers on Monday afternoon from 1:30 pm – 2:30 pm where you can engage in a lively learning circle as you share your answer to the following question: “If there was one “rule” or “generally accepted practice” that you could change or eliminate to help you do what you WANT to do to support elders or other care partners, what would it be?” Together let’s practice self-examination, searching for new creativity and opportunities for doing better. Join your fellow Pioneers for some facilitated table discussion on person-centered topics that are Hot! Pick up your lunch on Monday, August 13 and then bring it to the Plaza Room from 12:15 – 1:15 where you can choose the topic you want to discuss and share lively conversation over lunch as you promote the growth and development of all. All that, and still plenty of time to visit with our Exhibitors & Sponsors before catching your afternoon sessions! Be sure to visit the Pioneer Network Book Store to check out the latest resources for your culture change journey including books, DVDs, workbooks, and toolkits. Many of the authors will be on hand during the conference serving as Guides, providing you with an opportunity to talk to them in person about their books or other topics. There are also culture change themed buttons, bumper stickers and magnets for you to purchase and take home with you to spread the word! Meet the Authors at Special Book Signings taking place on Monday and Tuesday at our bookstore, and then watch for information about a few surprise ‘meet the author and book-signing events’!